Retail depends on social. Social depends on you. Learn best practices for building a better retail experience through social. Location intelligence. Landing page tips. In-store social engagement. There’s so much to learn and master about social for retail. 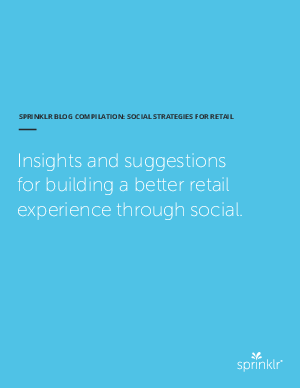 To help kick-start your strategy planning, we've gathered our most popular retail content in "Social Strategies for Retail"